Dr. Altman is an expert in general Dermatology and dermatologic laser surgery. He pursued undergraduate studies at the University of Michigan, and then continued at the University of Michigan for medical school. He completed a year of Internal Medicine training at Northwestern University in Chicago, then finished his residency in Dermatology at Henry Ford Hospital in Detroit. Dr. Altman is a board certified dermatologist. Dr. Altman is the chief of the division of Dermatology at St. John’s Macomb hospital in Warren Michigan, and is part of the teaching faculty for the St. Joseph’s Mercy, Livingston, Dermatology residency training program and is a Clinical Assistant Professor at the Michigan State University School of Medicine. He is a member of the consulting staff at Beaumont Hospital, Royal Oak, Harper Hospital and St. Joseph’s Mercy Hospital in Ann Arbor. Dr. Altman is a past executive board member of the Michigan Dermatological Society having already served as the President of that Society. He is the author of many academic publications and presentations as well as text book chapters . 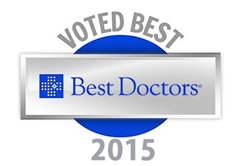 Dr. Altman has been named to numerous “Best Doctor” and “Top Doctor” lists, including the Hour Magazine of Detroit list for many consecutive years.